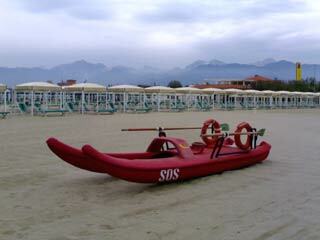 Forte dei Marmi is the epitome of posh. This fashionable seaside resort boasts elegant hotels, upscale restaurants and fabulous shopping. Its meticulously groomed shoreline is fringed by blue flag beaches and decked with stylish bathing establishments offering everything from beach chairs to heated swimming pools. It's located in trendy Tuscany and is less than 30 minutes from Lucca and Pisa. What's not to like? In Forte dei Marmi posh also means pricey. - The only bargains on this stretch of Tuscan cost are limited to the weekly Mercato del Forte, a market featuring discounted designer goods. - The once understated atmosphere has given way to an air of opulence. At Four Corners you can stand in which four U.S. States?